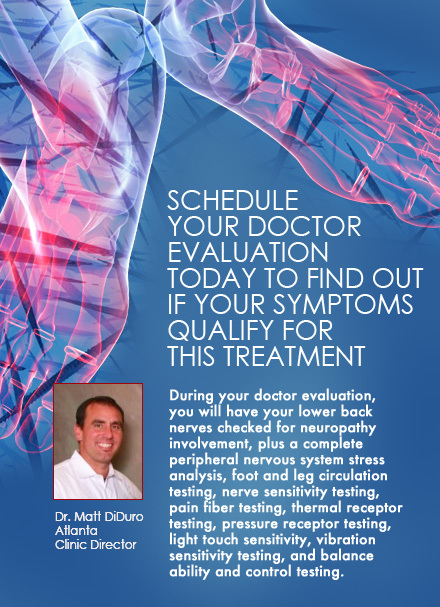 Clinically-Proven Peripheral Neuropathy Pain Relief Treatment Provided by a Certified Neuropathy Professional Dr. Matt DiDuro in the greater Atlanta area. Our exclusive, nationally-recognized, drug-free painless non-invasive peripheral neuropathy pain relief treatment protocol has been clinically proven to significantly reduce or eliminate severe neuropathy pain and inflammation due to diabetes and nerve damage. 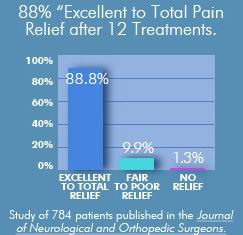 Some patients report neuropathy pain eliminated or reduced after just one treatment. to find out if your symptoms qualify for treatment. 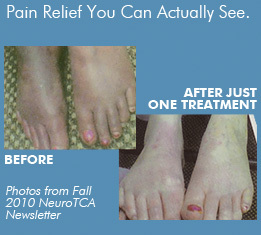 We treat the localized areas affected, to stimulate nerve function, the root cause of neuropathy pain. Traditional treatments only treat the symptoms. Neurologists prescribe drugs to treat the symptoms of the nerves, then they may send you to a physical therapist. Physical therapists treat the muscles and the joints but not the nerves. Chiropractors correct spinal problems that may be putting pressure on the nerves but are still not treating the actual nerves. Low-level laser therapy treats the localized areas affected, stimulating nerve function, the root cause of neuropathy pain. Traditional treatments only treat the symptoms. Our therapy’s soothing, deep penetrating energy works toward reducing pain and inflammation. Each soothing treatment draws water, oxygen and nutrients to the damaged area, creating an optimal healing environment. 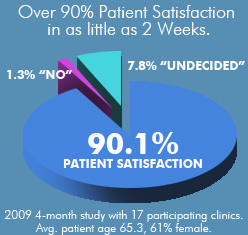 This therapy is non-invasive, drug-free, has no known side effects, and has a 90% patient satisfaction rate. to schedule a doctor evaluation to see if your conditions qualify for our treatment. Content © 2011 Neuropathy Treatment Centers of America. All rights reserved. services provided by medical professionals. Individual doctors must make their own independent determinations before authorizing a course of treatment. . Please consult with a qualified doctor if you have a specific problem.